Easter is coming! Shoppers Drug Mart has an Easter contest on now! Enter to win $1000 in Shoppers Drug Mart gift cards! 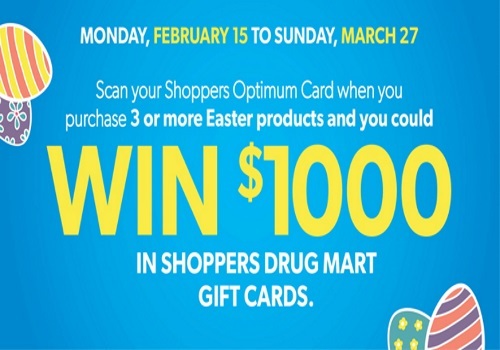 All you have to do is scan your Shoppers Optimum Card when you purchase 3 or more Easter products. Offer is valid until Sunday, March 27 2016. Draw will be held on April 25, 2016.